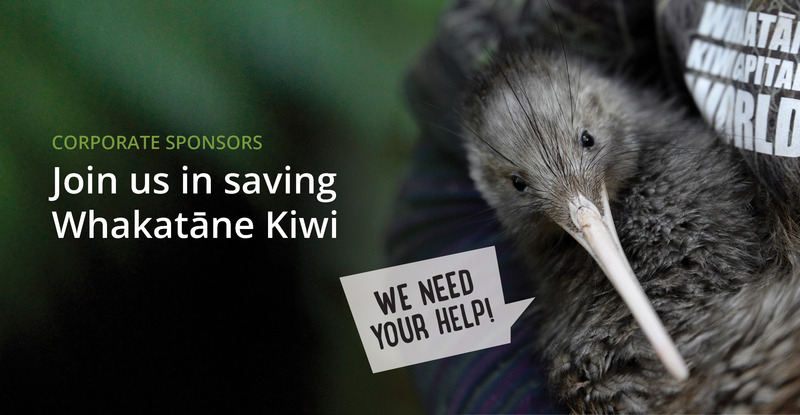 The Whakatāne Kiwi Trust is a leader in community driven conservation. Your organisation can make a valuable contribution to the work of the Whakatāne Kiwi Project and share in the benefits of that work… a tangible commitment to environmental sustainability with the feel good factor. The Whakatāne Kiwi Trust is a charitable trust, established in 2006. 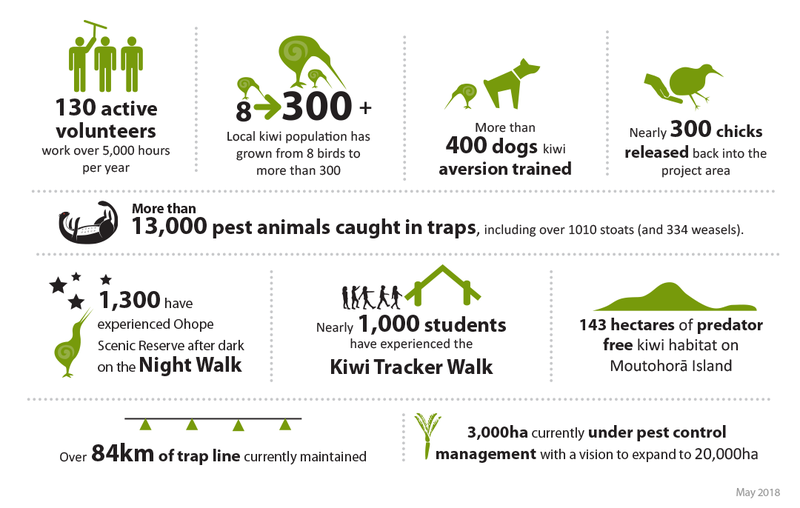 The Trust oversees management of kiwi in the project area, helps coordinate pest control, and promotes kiwi through advocacy, education, public events. All packages include having your logo and recognition on our website, newsletter and Facebook page; and use of our kiwi logo for your company. Small team from your organisation spends a day with a trapper in Ōhope Scenic Reserve. Small team from your organisation spends a day ‘chick pinging’ with our volunteers as well as personalised invitation to a Kiwi Celebration. A small team from your organisation have a day trip to Moutohorā (Whale Island) to see vision of what Predator Free NZ could look like. We will also name a trapline after your organisation and keep you up to date with trap catch information. Ready to become a corporate sponsor, or want more information? Get in touch using the form and indicate which package you are interested in and we will get back to you with all the details! The Whakatāne Kiwi Trust is Inland Revenue approved for payroll giving donations.